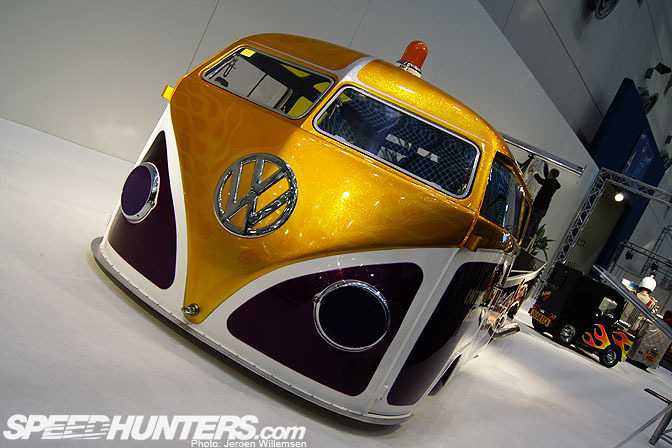 It's time for a second look at the Essen Motor Show. I did a random snap on this this VW pick-up truck in October. It stood in the Galleria, where you could find all sorts of weird contraptions on wheels. Another familiar face was this replica Z-tune built by Japo Motorsport. The car still looked impeccable. 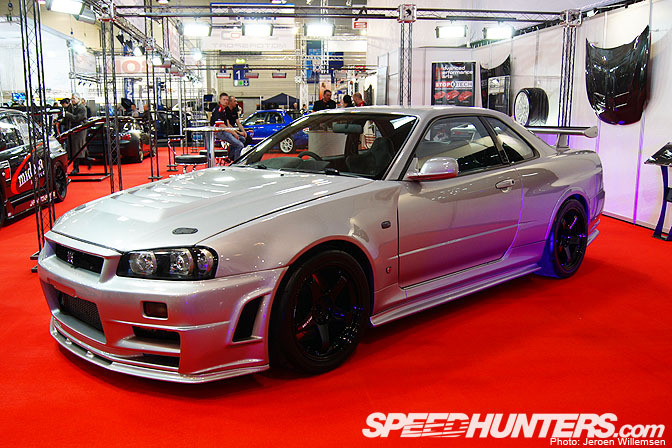 A car I would take with me in a heartbeat. 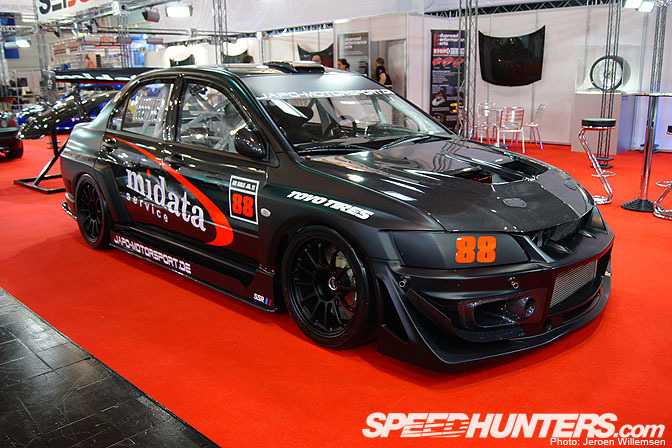 The other star on the Japo Motorsport stand was this EVO with all the carbon you could ever want. This reminds me to visit the shop as soon as time permits. How cool is this? 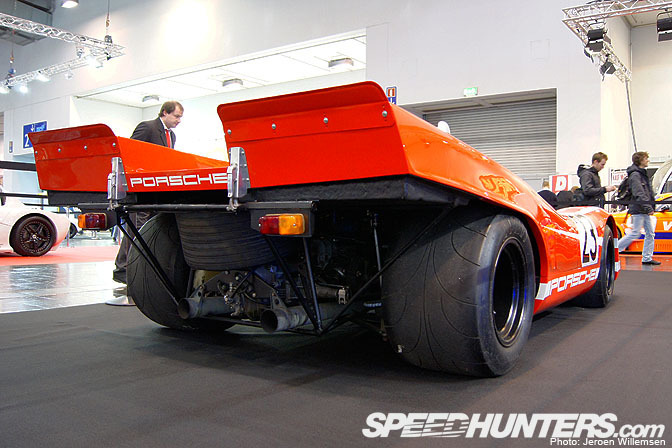 I have never seen a Porsche 917 up close and personal. So to see this sitting all alone in one of the largest halls at the Messe in Essen was very cool. It even had it's own bodyguard who made sure nobody came to close to the car. The rear of the car is even more impressive with it ultra-wide wheels and exhaust tips that connects to the 12 cylinder boxer engine. Not sure if this is the real race car that won the 1971 24hrs of Le Mans or just a replica. A cool anecdote I found about this car was the fact that it had the distance record of 5335Km at the 24hrs of Le Mans until 2010 when the Audi R15 with Timo Bernhard, Mike Rockenfeller and Romain Dumas behind the wheel broke it. 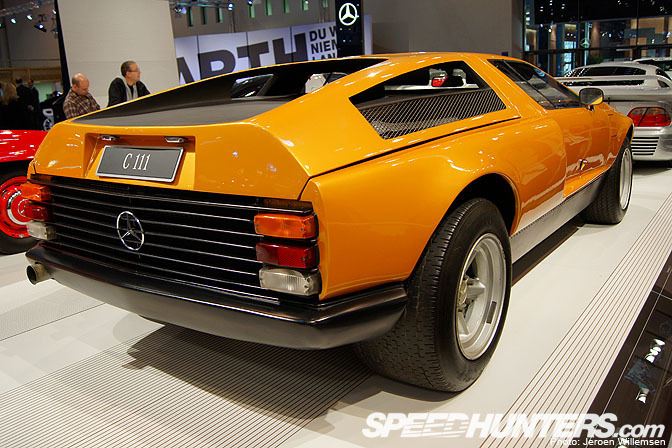 Most of you guys guessed it right; the orange car behind the CLK-GTR in part 1 was indeed the Mercedes C111. This experimental car was used as a test base for the Wankel motor or rotary engine. 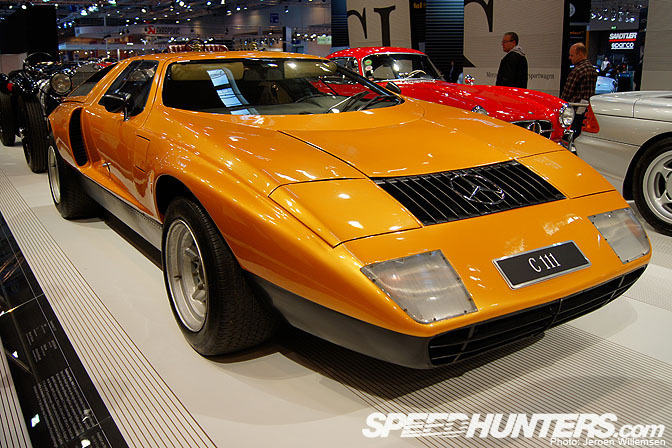 This is the first C111 Mercedes developed and it featured a three rotor direct fuel injected rotary engine. The car had a fiberglass body and gullwing doors. After experimenting with the rotary engine Mercedes decided not to adopt it. In the second version they went with a diesel engine and broke several records with it. After the C111 came the C112. This car was also used as a test bed and featured a six litre V12. A lot of the modern systems found in the newer cars from Mercedes were tested in this car. I'll have a closer look at the 300SL behind it in part three. 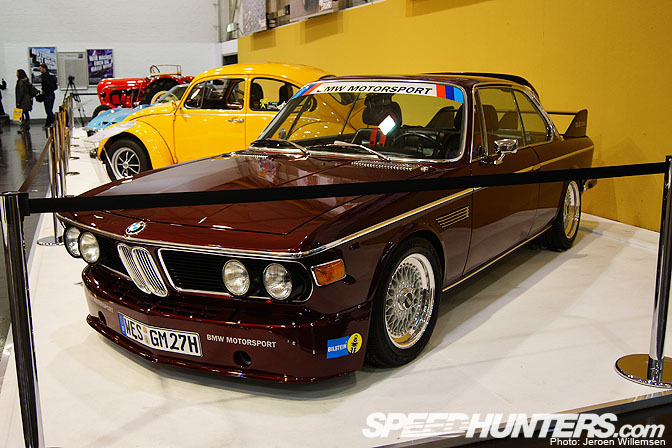 A perfect BMW 3.0 CSL. Some girls were there to make a car more interesting to photograph but this girl had all the attention directed to her instead of the car. 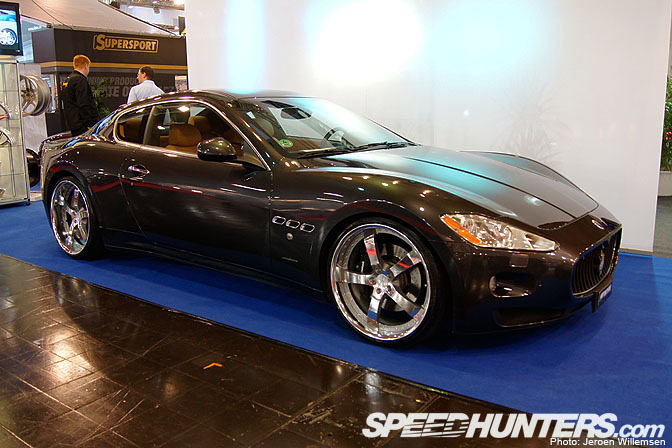 Some shiny Work wheels on a Maserati is never a bad thing. 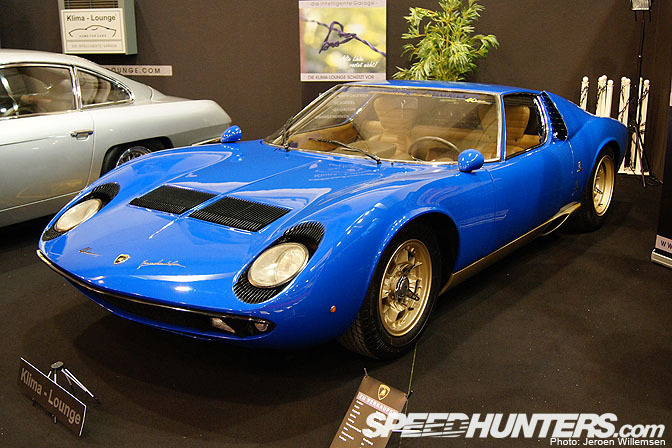 There was an entire hall dedicated to old school metal like this Lamborghini Miura. It's still a dream car after all these years for many of us. When walking past this Porsche Cayenne it didn't look that special. But after a closer inspection it seemed that it had lost its rear doors. 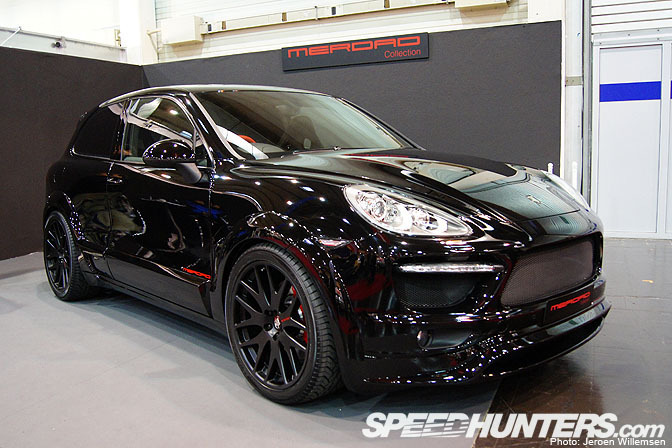 This Cayenne Coupe is built by Merdad who has worked with Gemballa in the past. There wasn't any information so not sure how they did the conversion. I do know it looked pretty good. 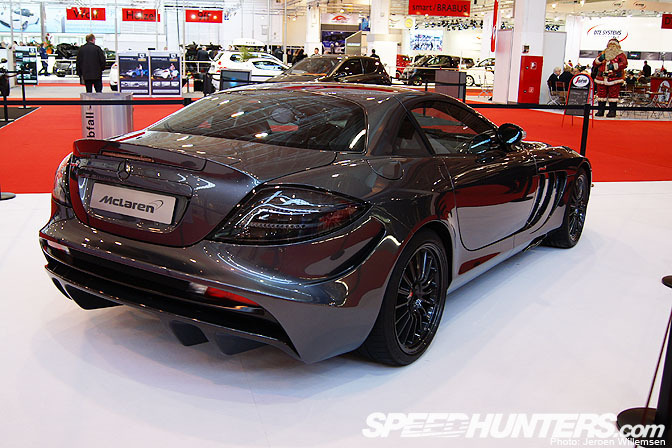 This SLR has been built by McLaren as a special edition of which only 25 will go to a customer. The engine didn't get any enhancements but the exterior got a complete makeover. I wasn't a fan of the exterior modifications but I'm sure there are some people that have a big enough wallet to buy this limited edition and store it in their garage. The color combination of red and white is always tricky to get right. 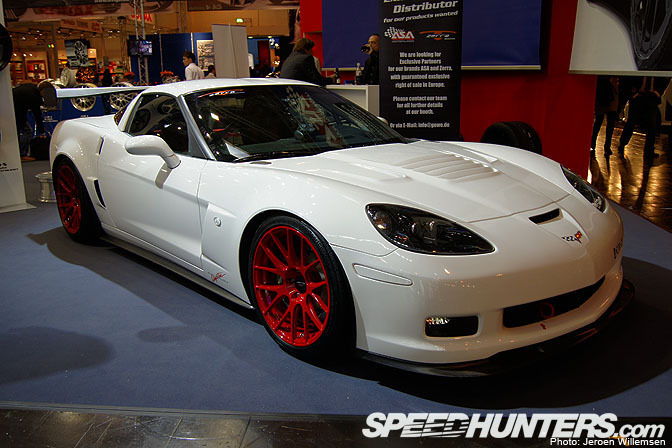 But the owner of this C6 Corvette did a fabulous job. why the body guard if not the real deal? I love that brown E9!! I've never been a fan of the SLR, and this new edition ruined it for me completely. I would expect to see a bodykit like this from Mansory, but not from the factory! Those old-school machines are amazing! haha the girl is michaela schäfer, a german "celeb"
Cayenne Coupe looks awesome, Porsche should build it! Hey Jeroen, you think u could do a detailed feature on the carbon EVO from Japo? Sweet Pics !! 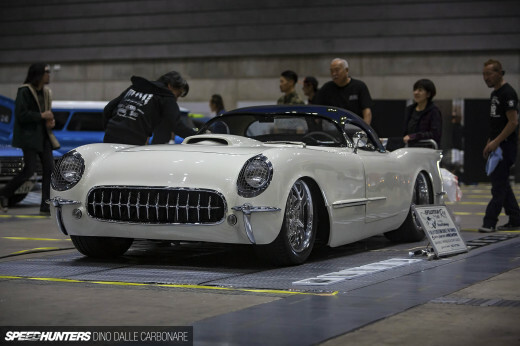 Love the Vette and that 917.. more on Japo Please ! hey, no pics of the lamborghini diablo twinturbo? I always was a fool for the looks of the 917 and who could blame me? Its just insanity. Although, I'm not entirely sure if this one was fully original or a replica for that matter. What looks to be an alcantara dash board through me off. The show stopper to me always lays on Lamborghini's. Although the 917 was amazing... the Miura would have been the car that I'd be standing around (drooling). You can have a Miura in harsh shape and it will still somehow look perfect. Beauty in the design. The C111 is also a remarkable piece of craftsmanship. We all know that we'd own the C111 in a hot second for the fact that it was the first to really experiment with a four rotor. Its a sweet concept. Now although I'm more of a fan of the E3 rather then the E9... I still have to give it up to that CSL. Now it might be clouded over by some big hitters but its still very beautiful and its good to see that people still have respect for those kind of cars. The only vehicle that I despise is that SLR special. Taking something that looked great and making it look like that is appalling even for McLaren. And theres no power upgrades?? Horrible! The only way I could put up with those looks is if it had been converted to turbo which can make 1000hp... if done right. Sweet cars. Sweet post. Good job. 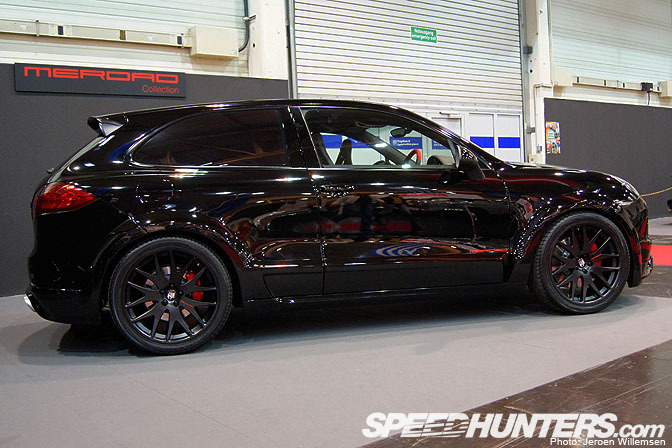 "When walking past this Porsche Cayenne it didn't look that special. But after a closer inspection it seemed that it had lost its rear doors." "Cayenne Coupe looks awesome, Porsche should build it!" 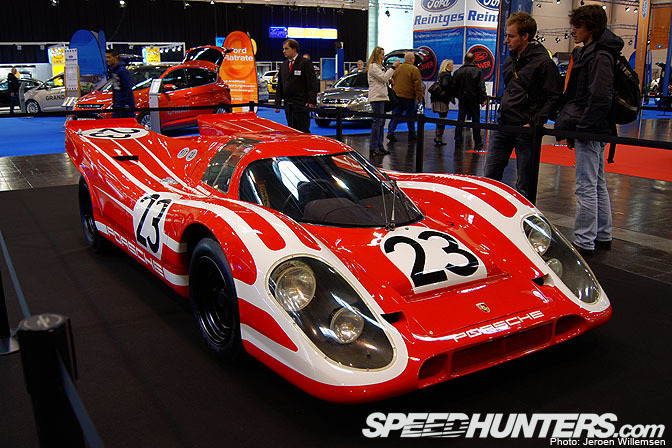 That particular 917 won the 1970 LeMans 24 Hours, not 1971! and, yes, that is a replica, the real car makes its appearance every year at Daytona for the Rennsport festival befor the Daytona 24 Hours. Also, that is not a real BMW 3.0 CSL, it looks close, but it is not. great article, though. "Japo Motorsports" !? lol the ignorance of Europeans regarding derogatory Japanese terms never ceases to amaze me. That 917 is amazing though. Sure it sounds derogatory the term "Japo", but I'm sure it wasn't meant to be a derogatory term. What amazes me it's the sheer number of people in this industry that DO NOT speak/ read Japanese yet those folks claim to know everything there is about JDM, that's what amazes me. That BMW CSL (even if it's not real) and the Miura make the post for me! There are a few Miuras around here, but I've never seen a blue one! Oddly enough, I also like that SLR; so much more special than the SLS "Dullwing" IMO. Jeroen, I know I'm not alone in wanting to see a full shop feature on Japo Motorsports; seems like the type of thing made for the Speedhunters audience!